The Blue Diamond Auto Repair Center was established in 2004, and now we took handsome amount of market share because of our satisfactory services. We are conveniently located on Plot 13, M2, Mussafah, Abu Dhabi. We have good expertise in repair of all major car brands such as Audi, BMW, Mercedes, MINI, Porsche, Volkswagen, Nissan, Toyota and Volvo. Our qualified technicians are highly experienced to perform auto repair services right the FIRST time. We are professional auto service center and have the highest level of factory diagnostic equipment to take care of even the newest and most complex vehicles. 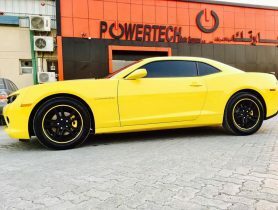 Car Service, The Blue Diamond Auto Repair Centre, Full Car Service, Car Repair Workshop in Musaffa M2, Car Repair Workshops in Abu Dhabi, Abu Dhabi Workshps, Car repairs in Abu Dhabi, Workhsops near me, Car Service Center in in Musaffa M2 Abu Dhabi, Mechanic Near me, Mechanic in Abu Dhabi, Car Battery Repair, Engine Oil & Filter Change, Tyre Change, Car Electricals Repair, Car Air Conditioning Repair, Car Repair Workshops.